From what I have read here. What we all end up with in the end is a bunch of adapters to use at the different events. I had to get this cord that has a standard 50 amp connection for the genny. But it has this end for my outlet on the truck. My 220 coming from the garage has this box on the end. The other end of the cord is run through my wall, and plugs in to the same plug I use for my welder. It is only wired for 30 amp. Because at home, I won't be using that much power. 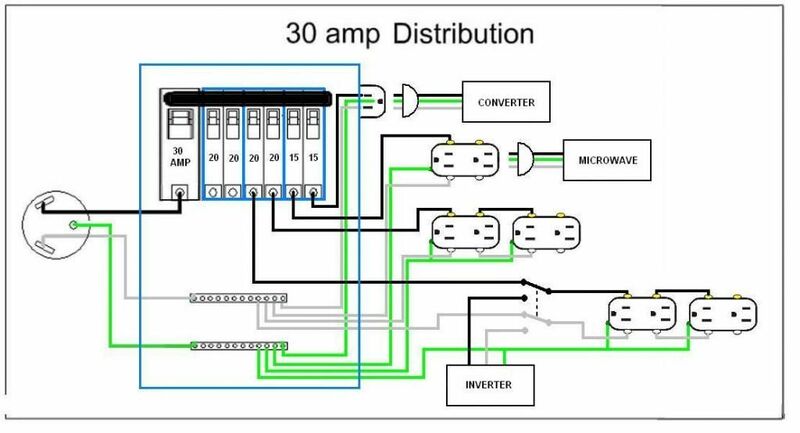 You can have 30 amp power coming into your 50 amp set up. You are just limited to what you can run. But you can't have 50 amp power running into your 30 amp set up. So if you end up at an event with 50 amp power, you are SOL. I have always been taught to think beyond your immediate needs. It is pretty much the same work and only a few $$ extra to build it all for a 50 amp. You will use the same panel ( or close ). You only need to go up 1 size of wire. Then you have more capacity. You don't want to have to change it after. What if you need to run 220 appliances?? This is the same thinking for why I ran 12/3 wire and split my outlets. WAY more capacity than I should need. 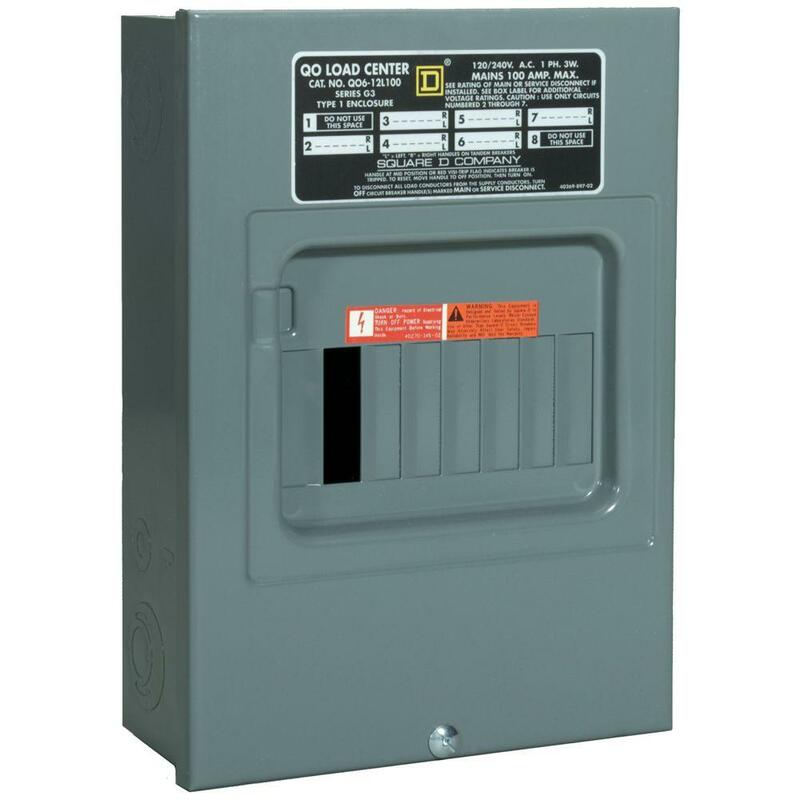 Plus I can turn my outlet into a 220 in 5 minutes, if I get some 220 appliance down the road. You do what you think is best for you. Just givin you my thoughts. BTW I like those predators too. I wish they would a 7000 watt version so I could buy those instead of Honda's. Wiring basics is a little rusty in my head I need to brush up on it. Im fairly young so I have limited experience with wiring. I did rewire my garage panel when I moved in and ran new wire for the lights/switches/recepetacles and added the 220v plug for my welder before I insulated the place. But Im fuzzy on it. 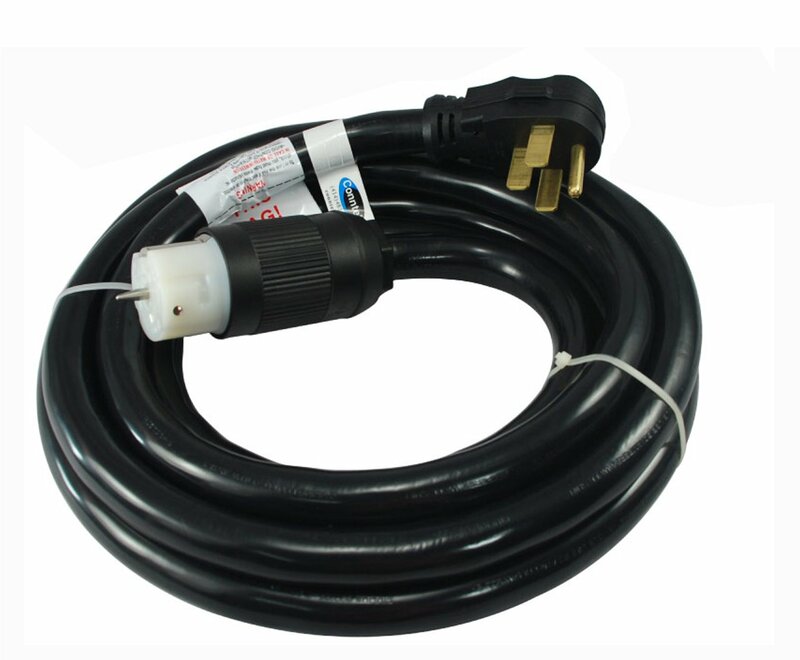 As for powerring the truck with a standard household 3 prong extension cord when at home, on a standard 15 or 20 amp dedicated breaker'd outlet. 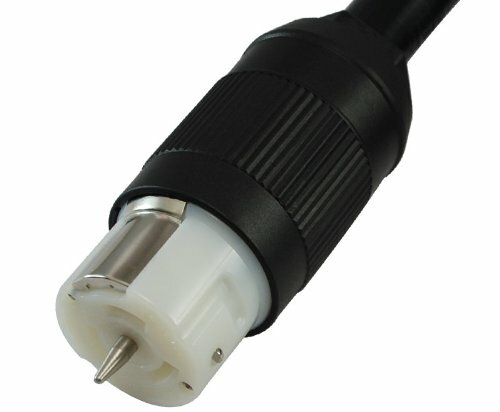 I assumed I could just use a nice thick extension cord with regular house 3 prong on one end, with an adaptor to an RV style 3 prong on the power inlet box end. Am I crazy? 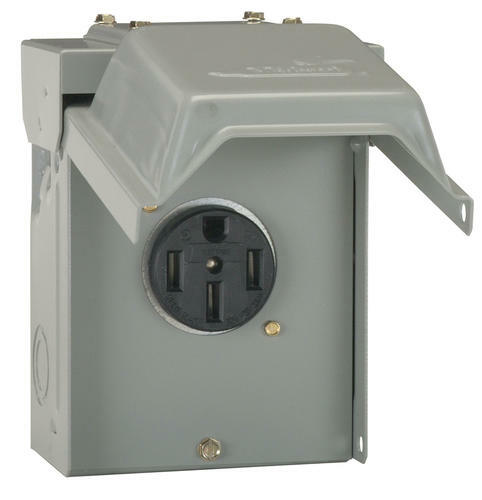 I could easily make a cord for home using my 220v welder outlet, but I believe the breaker box inside the truck would have to be wired to accept 220v from the power inlet box, which doesnt seem to jive with the 110v the predators would be feeeding the breaker panel when they are in use. See where Im a bit confuzzled.?? I did a rough layout of my trucks floor plan and Im actually surprised how much "wall" space there is, atleast on paper, the 14' box looks like I have ample room for my simple planned design. I figured I would fill the areas that arent fridge/sinks/refridgerated prep table with lots of counter space / prep space. As I figure that will be a premium if I ever want to buy an electric griddle, or hot dog steamer, or just get busy and need o searzall 6 servings at once lol. Just saying, I thought it was going to be a lot more cramped, first time Ive took to scale measurements and laid them out to see how theyd fit. Firstly you can get it on amazon if you really want it. Even when I bought it, it was on the HD site one day and gone the next. Must be something to do with availability. The same thing with the extention cord. I ended up having to get it when I went to the usa because it was not on the home depot site for a long time. Know that although it was listed cULus or csa approved..... it is not. It is only UL approved. But my inspector was ok with it. I have to apologize to you, because I have been only been looking at generators that had 220 connections. I had not even realized that many genny's only have 110v connections. I don't have a lot of experience with electrical. I use youtube a lot. I ask other smarter people. I'm not sure how to set it up with a 110 connection. I would have to research it. I did most of my layout stuff with painters tape. Ok, with this diagram I found, I think I grasp the way way it needs to be wired. Like an RV, not like a garage. I'm wondering if THIS is the kind of panel you need? Makes a little bit of sense to me now. But I would have to see inside that panel to know for sure. You should check it out at your local home depot. Hope I'm on the right path. Might help if you talked to an electrician. Research I will do. There just aren't many people out there having nice open conversations like this it seems. Thank you for the amazon link. Ive got what I want to use for water tanks sorted, just the black abs tanks on amazon, price is right and there profile seems great to fit under sink, going to have to source that large bulkhead for the drain collector and do the cut to the top of the tank mod you did aswell. I think Ive got the basics sorted here. Time to make a decision on what I want to use for floors and wall covering. id love to avoid using any wood at all, just seems inevitable to get wet with a riveted truck body sitting outside. Confirm its good with the health and fire depts. And run with installing both of those for a while. Just noticed you posted again but Ive gotta get back to work, Ill check it out on lunch, thanks brother!! I to tried to avoid as much wood as possible. In the end it seemed inevitable. But I still did a fire proofing paint on all of it. The truck does not leak so far. Went to my local home depot today because I know there is a very knowledgeable older man that always works the electrical section and I intended to hopefully have a conversation with him but was met with a younger fella instead who was not familiar with the idea, he luckily mentionned my pal will be back on friday though. So I will likely discuss there options on the panel there. Speaking of electrical. Any reason why I shouldnt buy a 25 foot cord to go from the generators to the inlet box?? I prefer this white version for some reason, yellow bugs me. And they actually want LESS for the 25ft vs the 12ft, very marginal price difference, but if I keep most of the 25' coiled up and only use what I need, would it be any more of a convienience or unconvienient to have more or less cable you guys think?? Confirmed both these pieces are CUL and CSA listed. Is the black unit in the middle bottom before the pump some sort of sediment filter.? Also is your drain manifold piece at the back where they all meet on top of the white elbow a custom one off made by you? The grey tanks drain spigot you added is similar to what I'd like to do, no issues with any inspector's? The black thing is just a filter. Flojet says it voids the warranty without one. Tractor Supply stocks them. The drain funel looking thing is a one off. I glued a larger diameter adapter on top. It's sometime hard to find adapters for what you know you want to do. So you make them. The NSF tanks are all from Class A Customs. I recommend them. I think you need 35 posts. This is my 32nd post! I ave the 50 amp service with adapters to fit any power setup the venue has...50 - 15 amps. I realize this is old, but just wondering if you finished your door? Would love to see pics of that. I'm getting ready to tackle the same thing.